RSTickets! Pro is the professional Joomla! 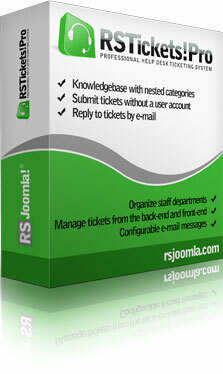 HelpDesk ticketing system. It has a high level of personalization and will meet all of your customer support needs. 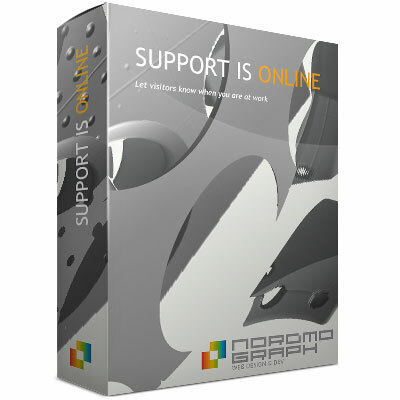 A help desk ticketing system will allow you to provide prompt and efficient support to your clients. RSTickets!Pro comes by default with an integrated knowledgebase system, thus allowing staff members to decrease response time and improve efficiency. Display official support service open hours and if staff is currently connected. Input your daily hours, open weekdays, vacation dates and userid for support staff and the module will display if support/presale service is supposed to be open, if staff is connected, in the most user friendly way. Keep your customers cool, let them know when to expect a quick response or not.